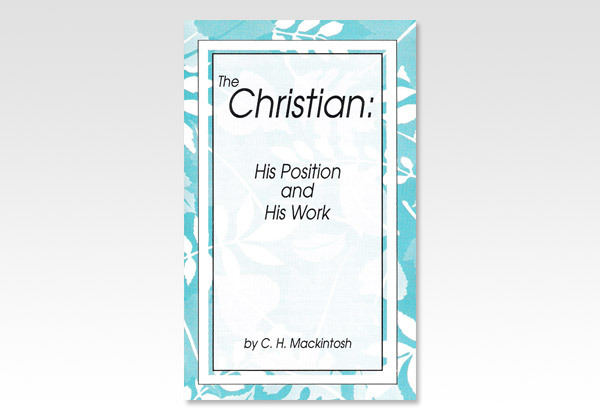 What is the true position of a Christian? What is his work? These two questions are of the very deepest practical importance. It is assumed, of course, that he has eternal life: without this, one cannot be a Christian at all. "He that believeth on the Son [of God] hath everlasting life." This is the common portion of all believers. It is not a matter of attainment, a matter of progress, a thing which some Christians have and others have not. It belongs to the very feeblest babe in the family of God, as well as to the most matured and experienced servant of Christ. All possess eternal life, and can never, by any possibility, lose it. But our present theme is not life, but position and work, and in briefly considering it, we shall begin with a passage in Hebrews 13. We cannot do better than quote it. There is nothing like the plain and solid word of Holy Scripture.